I’ve always liked the uneven Log Cabin. 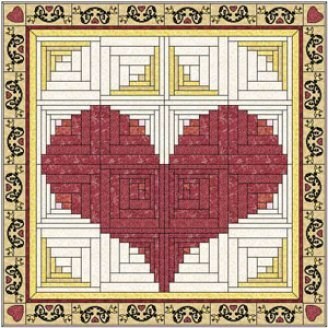 I saw something similar to this for making a heart shape. I like the complicated looking ones that are so easy. I usually don’t do much with fancier borders, but this really adds alot to the design.